View the entire table of contents for the Dec. 31, 1999 issue. December 31st, 1999 Jean-Michel Cazes Raises Funds for Arts College The 18th annual Detroit International Wine Auction, held Oct. 30 at the Detroit Marriott, received a lift from honorary chair Jean-Michel Cazes, proprietor of Bordeaux's Château Lynch-Bages. 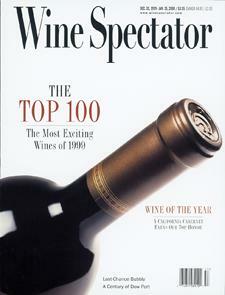 For the full article, check out the new issue of Wine Spectator, on newsstands December 31, 1999.